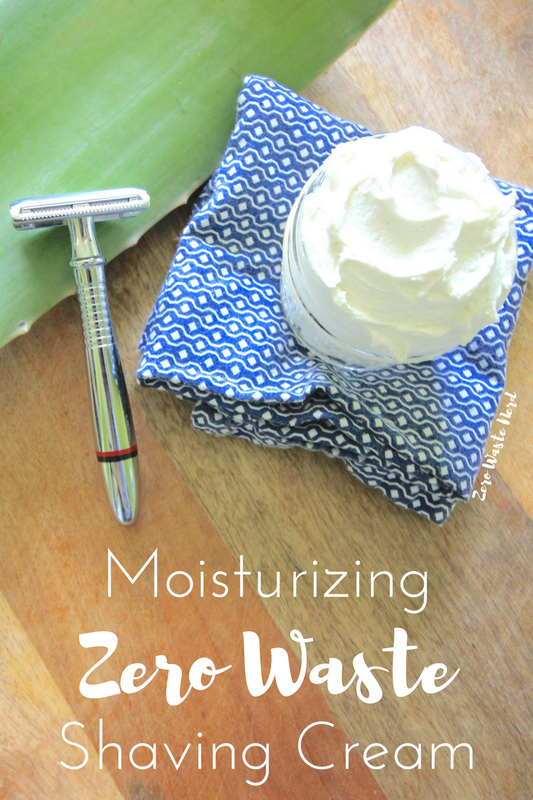 How could I just post about how to use a safety razor without following it with how to make some luscious, soothing shaving cream to protect your legs from irritation? Shaving cream is ridiculously easy to make – just 3 ingredients! So now that the sun has finally decided to pop out after being MIA for 15 days, I have shorts and capris on the brain. In the cold months, I’m a little hit or miss when it comes to shaving. I mean, why? It’s just an added layer of warmth, I say. Don’t judge…..
My lizard-like dry legs HAVE to have some type of moisture applied to them every single day so using a moisturizing, soothing shaving cream is important. In comparison to the conditioner bar I use now, the cream requires you to be a little more attentive to cleaning the razor after use and using a warm towel to wipe your face clean is a must after since it is heavily moisturizing. That being said, the cream allowed for me to get a closer, more effective shave and left my face very smooth all day. To make this shaving cream you just need Shea butter, coconut oil, aloe vera, and any essential oils if you choose to add them. To keep this zero to low waste, either purchase your items in bulk or in recyclable packaging like glass. I am able to get bulk Shea butter at the farmer’s market and the local grocery store sells aloe vera stalks. optional: essential oils (about 15-20 drops) **I used lavender. Heat up the ingredients until the mixture has completely melted and combined. Strain the mixture to remove any lumps from the aloe vera plant. Add essential oils and mix together. Put the mixture into the refrigerator until completely solidified. I would put about 3-4 months on the shelf life of this shaving cream but I assure you, you’ll use it all up in under that amount of time. This shaving cream is meant to be incredibly moisturizing so it may be slightly greasier than you are use to. Just rinse your legs after use and wipe with a towel to remove excess. The composition of the cream may react differently to where you live – depending on climate. Though the shaving cream is made of all edible ingredients, I do not recommend eating it. You might have to hide this from your spouse because when they see how wonderful it is, they’ll steal it. This entry was posted in DIY, Zero Waste Bathroom. Bookmark the permalink. I'm always SO dry – something about the water in our new apartment – so I'm definitely going to give this a go if I can find shea in bulk! It makes my skin so smooth – I just love it! Check your local farmer's markets for bulk shea, you might find it there. I find a shave bar to be a bit cheaper and longer lasting than making anything with shae. If you can pick one up, I highly recommend it, they usually come with mens shaving components like a brush. putting this one POST shave, however, seems like an excellent post shave emollient to sooth the skin. Have you ever had any difficulty with clogging the sink? I’ve read a few other comments where people use coconut oil in a recipe and then have plumbing issues. Not personally, but I pretty much rub it in before using the razor. There is a vendor at my local farmer’s market that sells it in the summer in bulk. I stock up once a year by bringing a large jar for him to fill. Are you worried about it clogging your drains? I have a septic tank, so anything that is solid at room temp cannot go down the drain. Do you have a suggestion for a different option? JUST finished whipping this up, holy crap! It’s perfect! I doubled the recipe so I could share some with my friends, it turned out so nice and smooth, not super oily from the coconut oil. I love that it’s all from natural ingredients. I feel like I’m being better to my body and the environment. Thank you for sharing this recipe! Yay! I’m so happy you love it! This keeps my legs so moisturized, especially in harsh winter months.